This week's Saturday G/45 Quads consisted of 4 sections. 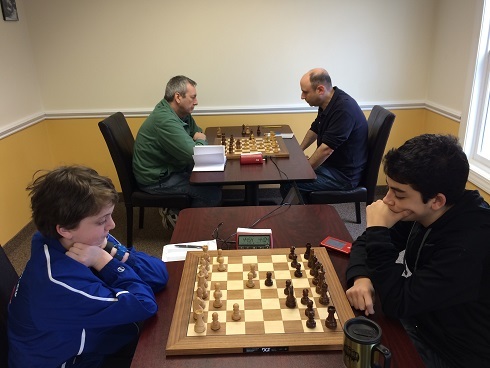 Hans Neimann won the top quad with a perfect 3/3 points! 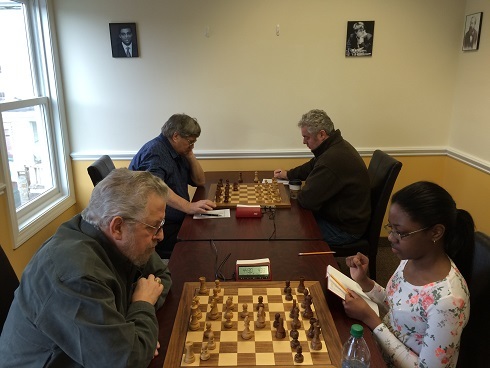 Section two saw a 4-way tie between Hanon Russell, Andrew Dexter, Leo Bykhovsky, and Jessica Rattray. Each had won 1.5 points! 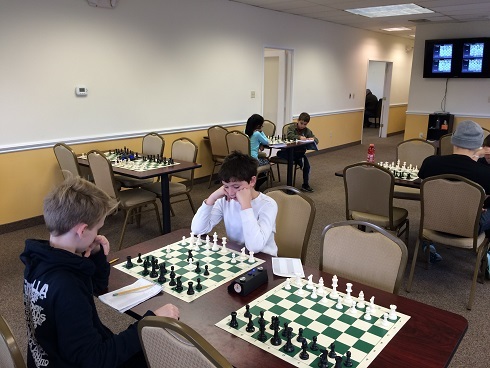 Jack Klein won the third quad with 3/3 points, and was closely followed by Ethan Cushman with 2/3 points. Frank Rivera won the fourth quad with a total of 3/3 points. Katherine Rattray landed in second place with 2/3 points! Congratulations to all the winners and participants! See you soon!